It has been at least a year since we’ve been through Congress Junction, an old mining town north of Wickenburg. Congress Junction was once the most important town in the center of a rich silver and gold mining boom. Even President Taft has visited there at the opening of the railroad. Over the years since the mines closed, it had been reduced to a store and a few other apparently abandoned building. This time, however, we saw that someone was building on the site of the old railroad station, so we stopped to investigate. What we found, or rather who we found, was Mike Yacos. Mike it turns out is a very talented artist and craftsman and the results of his skills are on display in an art gallery, his home and other structures he has or is building. Mike’s operation is complete from raw materials to finished products. 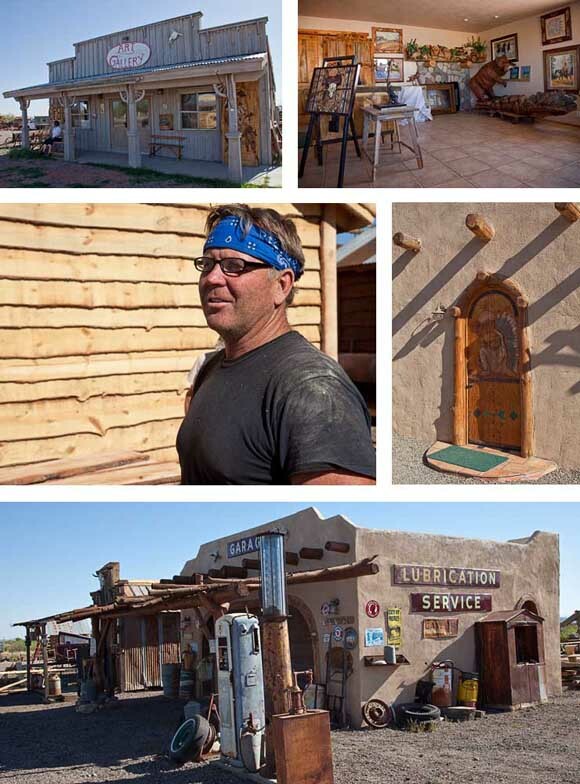 He harvests the pine and mesquite near Prescott and hauls to his sawmill. From there it becomes every thing from sculptures to carved doors and complete buildings. He also showed us a completely restored woody station wagon on which he had replaced the original wood panels with beautiful mesquite. And the gallery also includes Mike’s bronze sculptures and oil paintings of western scenes. Our second discovery of the day was the T-Bird Café in Peeples Valley. We stopped in Yarnell to say hi to Vicki at the Painted Lizard and she told us about a couple of new restaurants that had opened since our last visit. 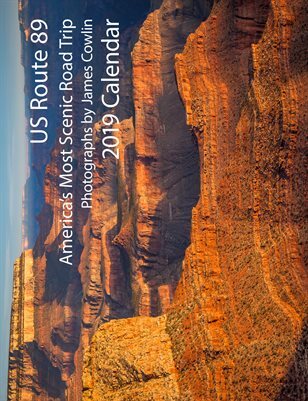 In fact, the four mile stretch of highway 89 through Yarnell and Peeples Valley now includes six fine eating establishments from the Cornerstone Bakery where you will find the best pastry in Arizona to the classic Ranch House serving hearty breakfasts and lunches. 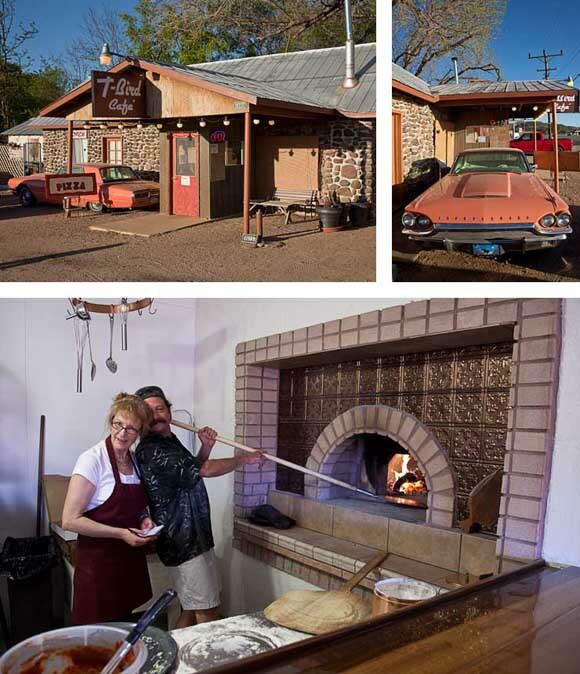 Vicki described the pizza at the T-Bird Café which is baked in a wood-burning oven and that sounded mighty good to us. We were definitely not disappointed. I’m a bit of a pizza snob and eschew the bland stuff that passes for pizza from the national chains. The pizza that Gary Wallen produces in his hand built Tuscan wood burning oven is superb. With a crispy crust, sauce, cheese and home-made fennel sausage piled on just right, it was delicious. Gary’s wife, Cheryl, was a gracious hostess creating a very welcoming atmosphere. 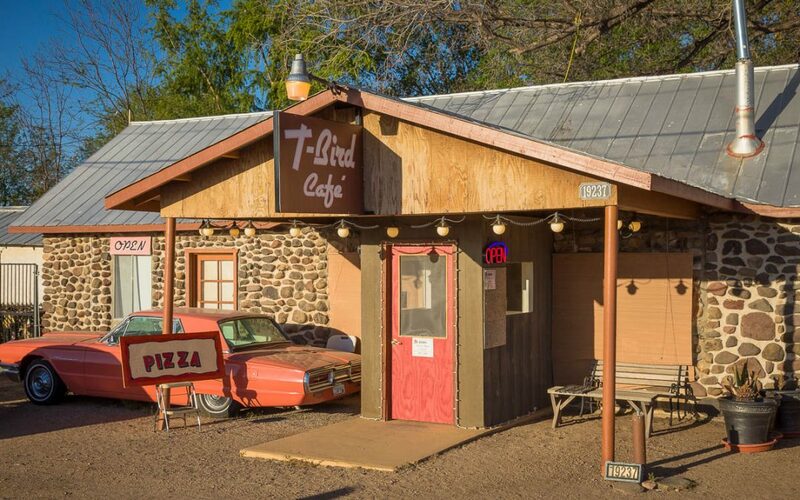 A historic note: the T-Bird Café occupies a stone building constructed in the 1920’s. 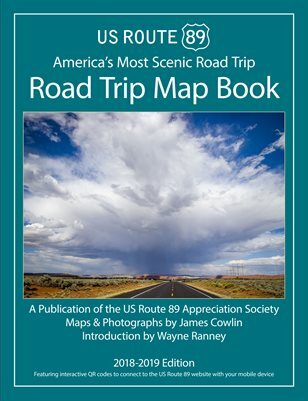 It was originally called the 89’er Café and was a truck stop on what was then the main road between Phoenix and Prescott and became US Route 89 in 1926. I gew up with this wonderful lady she was alway fun warm and seem to always have an eye for the good in people . no matter how busy her day was she always would stop and talk or just lend an ear . leaving one with a sence of knowing that all is going to turn out just fine. Her daily life consisted of much grace . I miss her and wish her happiness in her journey’s Hope to see you soon CUZ. Travelled to and from Prescott Valley three weeks ago…stopped at T-Bird for dinner~AWESOME pizza and a cook with sweet cheeks behind the counter…. Best Pizza ever, no doubt about it. It was really fun meeting you two last week. What a glorious adventure you’re on! 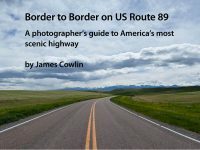 We’ll keep up with your posts and link here, when our website is finally published. All the best, Gary & Cheryl at the T-Bird Cafe.